Why You Definitely Need A Head Hunter! As employment rates increase, the talent pool of great people slowly grows smaller. The means that the likelihood of your next highly-talented individual being unemployed or currently looking for work is extremely rare. 1) Do you know WHO your next best marketing director is and WHERE he/she currently works? 2) Do you know HOW to approach someone, who is currently employed by your competition, and, to all intents and purposes, appears quite happy where they are? 3) If you are a Director in your company, is this often fruitless and sometimes soul-destroying process (especially, if executed poorly) the best use of your valuable time? If you break your leg, you go and see your doctor or report to the hospital. It's highly unlikely that you try and fix it yourself at home by taping your leg to an old broom handle...! Likewise, when you are looking to find a specialist to fill a specialist role, can we suggest that you consult the experts?! At Jackie Kerr Recruitment, we have built an executive candidate database over many years. So we know the career plans of the individuals we speak to. We often meet ambitious people, who are happy today, but would like to see their role develop over the next two years. 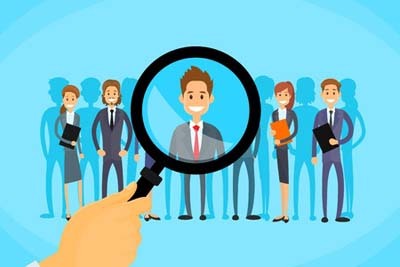 Similarly, we also come across people, who are perhaps a little frustrated in their current role and, should something more exciting and challenging become available, they would be interested in a discussion.